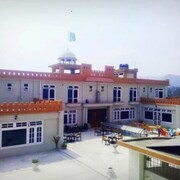 Situated in Abbottabad, this hotel is 0.9 mi (1.4 km) from Ayub Teaching Hospital and within 9 miles (15 km) of Ilyasi Mosque and Raees Khana Bazar. 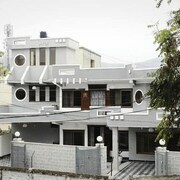 Situated in Abbottabad, this guesthouse is 1.3 mi (2.1 km) from Ayub Teaching Hospital and within 6 miles (10 km) of Ilyasi Mosque and Raees Khana Bazar. Situated in Abbottabad, this agritourism property is within 3 miles (5 km) of Raees Khana Bazar, Ilyasi Mosque and Ayub Teaching Hospital. Situated in Abbottabad, this hotel is within 3 miles (5 km) of Raees Khana Bazar, Ilyasi Mosque and Ayub Teaching Hospital. 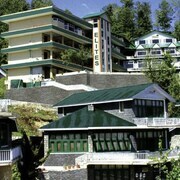 This family-friendly Murree hotel is within a 10-minute walk of Murree Hills and Mall Road. Pindi Point is 1.4 mi (2.3 km) away. 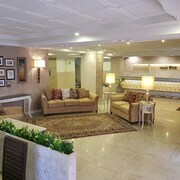 Situated in Murree, this hotel is within a 10-minute walk of Murree Hills and Mall Road. Pindi Point is 1.8 mi (2.8 km) away. Everything was exceptional. Had good experiences both pc bhurbhan and pc Lahore. Only concern was that I was told at checkin about free amenities and later at checkout I was charged for using mini bar. May be I misunderstood at check-in or person who checked me in was not sure about it. Good service and maintenance. However the washroom did not have any shampoo or hair dryer. 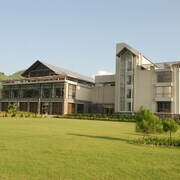 Visitors can enjoy all that Abbottabad has to offer including the golf courses, mountain views and university setting. 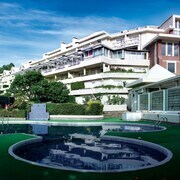 Tourists can also enjoy the city's monuments and shopping. 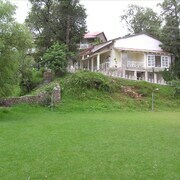 In Abbottabad, there are 4 hotels and other accommodation options to choose from.